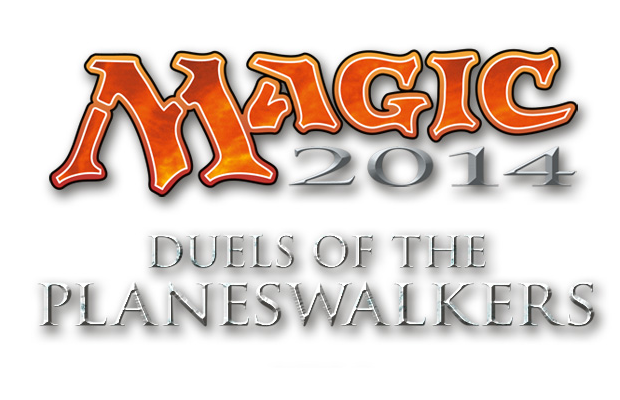 Magic 2014 is the latest entry in the Duels of the Planeswalkers series of games, first launched back in 2009. Since its inception, yearly releases have followed, bringing new cards and the occasional new feature. As is often the case with yearly releases, there aren’t many new bells and whistles, but the core idea is still fun. Just be sure to investigate the DLC before making any purchases. Unlike previous entries, Magic 2014 tries to introduce an actual story to the mix. Bits of dialogue are sprinkled throughout the matches in the campaign, which tell a rather bare bones tale. A fellow Planeswalker named Chandra needs help tracking down a man name Ramaz. This then provides some justification for you to go from area to area, taking on numerous pre-made encounters. That being said, the plot serves its purpose adequately, and is far from my main gripe with Magic 2014’s campaign. Unfortunately, the card battles themselves can crawl along at a snails pace. Campaign matches play out exactly the same each time they’re played. This means enemies will mimic previous battles, using the same strategies and cards. Players can develop a strategy for each encounter, but this also makes repeated attempts frustrating and repetitive, as one goes through the motions time and again. It all begins to feel like Sesame Street does Magic: The Gathering, as each calculation is spelled out in excruciating detail. Yes, certain animations can be skipped, and certain steps speed along, but the agonizingly slow pace becomes overwhelming in single-player. The scripted battles of the campaign can also feel unbalanced. While you as the player are still susceptible to the random nature of the Magic card game, your opponent is not. It’s as if the AI always gets the right cards to perform the exact strategy the deck was designed for, while the player is left fumbling with the realities of a card game. While this is obviously a deliberate design choice, it leaves some of the more difficult encounters with a cheesy aftertaste. Magic 2014 also limits access to decks and cards, making experimentation almost impossible early on. Outside of the campaign, a series of challenges are available which provide a smaller-scale experience. Instead of full battles, players are presented with a scenario in which they must usually win within one turn. Rounding out the single-player content is Sealed play. In this, fake booster packs are “opened,” and the player builds a deck from a random assortment of cards, followed by another series of pre-made encounters. Available cards differ slightly, but Sealed play suffers from the exact same problems as the main campaign. Multiplayer helps eliminate much of what hinders the single-player, but trudging through the campaign content is required for it to be enjoyable. The introduction of a real person in online play solves many of my gripes with the campaign. When a level of randomness is re-introduced, the irritating breaks become as tension rich as a card game can be. The predictable repetition morphs into a genuine sense of anticipation and engagement. Magic 2014, as with many of its predecessors, re-creates Magic: The Gathering as accurately as one can in a video game. But don’t assume you can just jump into the multiplayer after throwing down the $9.99 purchase price. That is, unless you want to drop an additional dollar for each deck you unlock in the campaign. A multitude of DLC is available from launch, and luckily, most of it doesn’t directly impact the game. Ignoring the $.99 purchases to make digital cards holographic, or the required payment to have more than two Sealed decks, the majority of the content needed to enjoy Magic 2014’s multiplayer is locked behind the mediocre campaign. Without those decks, only one color is even available for play, unless you plan on throwing down the game’s original purchase price again. I know I shouldn’t be surprised by a collectible card game trying to nickel-and-dime me, but applying a free-to-play business model on top of a game that isn’t free always seems dirty. Magic 2014 locks everything that makes the card game great behind so-so gameplay and a paywall. The whole point of Magic: The Gathering is building your own deck and taking on other strategic masterminds. But you can’t do either effectively unless you suffer through the entire campaign, or drop another $10. Of course this doesn’t make the game unplayable, but it does hold it back, and the DLC should be investigated before buying anything. It is a shame, because Magic 2014 isn’t poorly made. The UI during matches is easy to understand, with helpful resources at hand to define any and all special abilities. Battle animations may not offer anything spectacular, but the necessary information is still presented in a very clear manner. Magic 2014 is a functional recreation of the storied card game, and that itself is a good thing. And as someone who’s had an on-again, off-again relationship with Magic since middle school, it saddens me to criticize such seemingly minor aspects of the game. However, these criticisms could greatly shape how much you enjoy it. Magic: The Gathering is still an extremely fun game. Magic 2014, on the other hand, restricts much of what makes the game entertaining.